Who's Afraid of the Big Screen? Last week brought with it the news that after its stonking opening night, Who's Afraid of Virginia Woolf? will in fact be broadcast to cinemas across the UK as part of National Theatre Live. 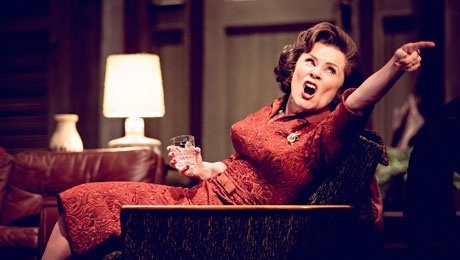 Imelda Staunton returns as a key star in the ever-growing opportunities for broadcasting theatre, having previously led the cast of Gypsy in the incredibly popular live screening from the Savoy that aired on BBC 4. Get 7.30pm on the 18th May in those diaries to pop down to your local cinema and see Albee's masterpiece in action, or book now for the run up until 27th May. The press night of Bat Out Of Hell looked like a right scream and unusually featured a lot of local faces straddling a Harley Davidson... The red carpet was rolled out at the Opera House Manchester for the premiere of Jim Steinman's musical set to the music of the one-and-only Meat Loaf. Watch the vox pops to see what audiences are saying so far. If you're a Londoner itching to see it however, you'll have to wait a teeny bit longer, as it won't be arriving at the London Coliseum until June. 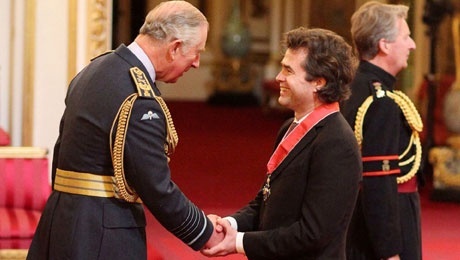 Well-deserved recognition last week for the arts industry as we had the first batch of honours handed out to some of theatre's flagship creatives including Artistic Director of the Almeida Theatre Rupert Goold, who collected his CBE. The man behind last year's Richard III (starring Ralph Fiennes and Vanessa Redgrave) was all smiles receiving his award from Prince Charles, on the same day that Sharon D. Clarke picked up an MBE. 2017 has been a landmark year for royal recognition, with Nice Fish star Mark Rylance being knighted as part of the New Year's honours. Click here to book for the final week. 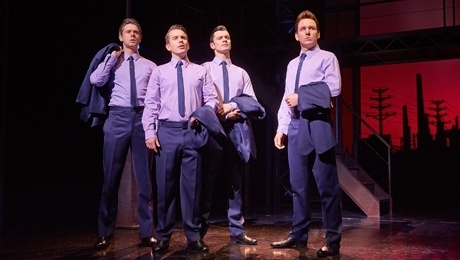 Frankie Valli fans don't need to get too down though, as the boys will be heading on the road for a UK tour beginning this Christmas at the New Alexandra Theatre, Birmingham. Best of luck to the cast and team of An American In Paris which has its official opening night on Tuesday! 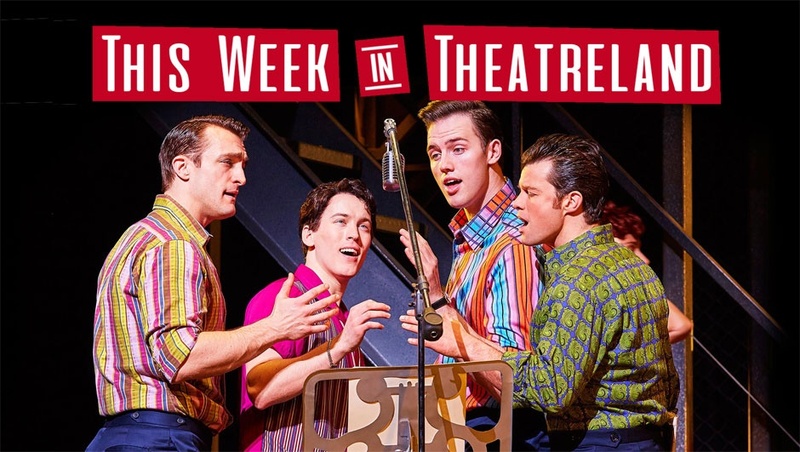 George and Ira Gershwin's music will be whistling through the streets of Soho from the direction of the Dominion Theatre tomorrow night, so make sure you head down there pronto when you get the chance to see the stunning theatrical adaptation of this much-loved movie. Saturday 25th March at 8:30pm is Earth Hour. Millions across the globe will switch off their lights for one hour to show they care about the future of our planet and call for action on climate change. This includes our very own theatres, which will have their non-essential lights going dark in the UK and US! In 2016 we reduced our carbon emissions for the 3rd year running, equating to a reduction of 1336 tonnes, and hope we can do just as well this year. 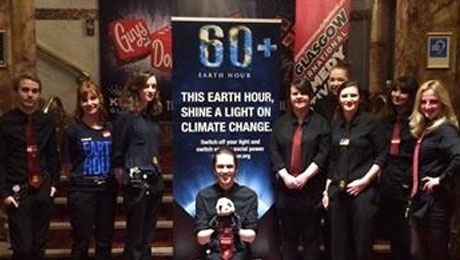 Click here to find out how you can join in with Earth Hour. Tank (Battersea Arts Centre): Breach Theatre bring their Fringe First winning psychedelic show about teaching dolphins English to the Battersea Arts Centre for the rest of this month. Seventeen (Lyric Hammersmith): A cast of veteran actors have been drafted in to take on the roles of seventeen year olds in this unique production. 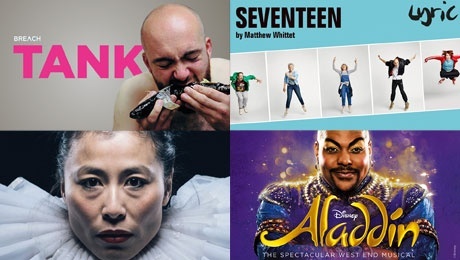 Tamberlaine (Arcola Theatre): Fresh onto the stage is this adaptation of Christopher Marlowe's play by Yellow Earth Theatre starring British East Asian actors with taiko drumming. Aladdin (Prince Edward Theatre): Next Thursday (23rd March), Disney's musical has a BSL signed performance for access patrons to enjoy.